The India news first. Shahrukh always does more or less well overseas, all the Khans do, but back home can be a bit more iffy. Also iffy, unfortunately, are the reliability of the home figures. But very early reports have Raees opening at around 20 crore, which is the same as Fan. But Fan then dropped off like crazy over the next few days, while Raees has stayed a power house. It already cruised to 109 crore in the first week. While Kaabil is on the way to 80 crore. Raees is, unfortunately, falling to the curse of high expectations. 100 crore in a week would have been a major hit for Dear Zindagi, or even Kaabil. But for a Shahrukh film, which was heavily promoted and widely released, it’s considered just “average”. However, it will almost certainly lead to Raees beating Dilwale at 148 crore by the end of the run (only 40 crore left to go, and another open weekend coming up). Overseas though, that’s where we have the “good” figures! From a reliable 3rd party source. Starting with the US, $5,305 per screen on 265 screens. Hmm. This isn’t bad at all, but it’s also not the top top top. $5,000 per screen and up is average for a Khan film. It’s only when you break through $7,000 per screen that I start to sit up and take notice. And 265 screens is kind of on the low end for a Khan release. Breaking past 300 is not uncommon. But Raees looks great compared with Kaabil, at $2,300 per screen in the US. Sheesh! Almost no one in America was picking Hrithik over Shahrukh this weekend. $2,300 would be respectable for, say, a small scale launch film for a couple newcomers. But for a “major star”, it is really bad. Hrithik’s in trouble. At least in the US, how does it look in the rest of the world? Canada, with its freakishly high ticket prices, has Raees at $14,000 per screen on only 24 screens. I think this is one of those times when you have to balance the screen count with the per screen. $14,000 is amazing, but that is a pretty low number of screens. Guessing that the high per screen figure is because the audience was over-flowing the limited exhibition options. Kaabil actually got one more screen than Raees, at 25. And only made $3,414 per screen. Ouch! Decent chance, considering the bloated per screen tickets for Raees, that a good half of the Kaabil profits were just over-flow from people who couldn’t get in to Raees. And then there’s the UK, with it’s cheap cheap cheap tickets. Raees did not do nearly as well there, even allowing for ticket rates. At least, per screen. Released on 135 screens, which is a lot for a UK release, and made $3,749 per screen. While I think Canada may have been dealing with an issue of too few screens, I think the UK may have been dealing with too many. Raees still broke through the UK box office top ten, ranked #9. So the over all box office was great, just too many screens lowering the per screen count. Oh, and Kaabil made $1,135 per screen. Which is another “ouch!” total. Raees did super business in Australia! $16,205 per screen on 29 screens. The screen count is slightly low, again I am getting the Canada vibe of too many people squeezing in to too few screens. 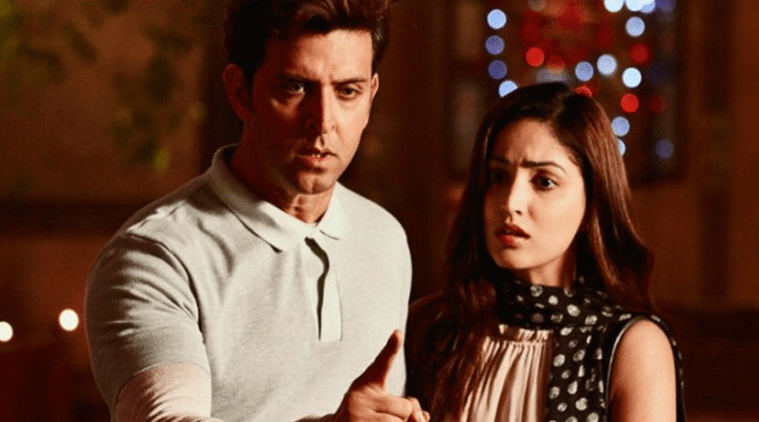 Kaabil had only one less, 28, and did well as well, but much less good, $4,700 per screen. New Zealand wasn’t near as good. $7,000 per screen for Raees on 18 screens. Strangely, it was almost exactly the same as Australia for Kaabil, around $4,000 per screen on 16 screens. And then the two funny ones, Malaysia and Germany. Raees did very well in Malaysia, especially for a non-Tamil film, $6,551 per screen on 21 screens. Kaabil did way better per screen, best of anywhere really, at around $10,000 per screen. But only on 3 screens. And then, according to this information, Raees didn’t even release in Germany? Even though Dilwale released on 54 screens there? But Kaabil did, on 17 screens, and made $884 per screen. That’s around the same as what Befikre did, compared to ADHM at $2,000 per screen. So, big picture, what does this tell us? It tells us that no one had any idea what was going to happen with Raees! It’s an action movie, but it’s also got high brow cred, and it’s got Shahrukh Khan. So, do you go hard after the traditional high brow areas (America, UK) or the action areas (Australia, New Zealand, Canada) or the Shahrukh areas (Malaysia, Germany)? And how does the Muslim and Pakistan connection affect this? Do you pump up the release in the UK because of all the Pakistani immigrants who will go for Mahira? Or do you pump up the release in Malaysia because of the Muslim majority who might relate more to the Muslim hero? Looking at these release figures, it seems like Raees worked firstly as an action film and secondly as a Shahrukh film. Australia and Canada turned out for the action, Malaysia turned out for the SRK. America and the UK were not as interested, it’s not the kind of Shahrukh we like and it wasn’t high brow enough for us. The distributors should have pushed harder for the Australian and Canadian market and DEFINITELY tried to break through in Germany, and let the other markets go a little. Kaabil is all over the place too but, to me, it looks like it is actually pretty steady as an average earner, but went through forced fluctuations due to its conflict with Raees. Did terrible in the US because the audience and screens were all swinging Raees-ward (or Dangal, which is still doing decent business here). Same in the UK. And then in Australia and Canada and Malaysia, where Raees was possibly under-screened, Kaabil benefited from the overflow. Really, New Zealand may be the only accurate marker for how Kaabil would have done as a solo release, Raees made a solid $7,000 per screen (not too low or too high), and Kaabil made $4,000. Really, this incredibly wacky box office pattern just confirms that Raees was something very different, something we hadn’t seen before. A Shahrukh Khan big budget action movie with songs that also had a gritty realism and social message. The same kind of upheaval happened with DDLJ, a young people romance that also had something for the parents to relate to and a message about the new NRI generation. Or with 3 Idiots, a college comedy that had a deeper meaning and message to it while still including songs and romance. Or Bhansali’s Devdas or Hum Aapke Hain Koun or, heck, Awara! Any time a film really seriously breaks the mold, it results in a confused audience and a very confused distributor. This entry was posted in Box Office and tagged Box Office, Global Collections, Kaabil, Raees, Shahrukh Khan, Star Birthday Posts by mredlich21. Bookmark the permalink. I’m stunned that only 24 theaters in Canada were showing Raees. I guess I should feel lucky that I’m less than a two hour drive from 6 of them (3 are only an hour away). And I guess our ticket prices are freakishly high- $12.50 a ticket. How much does a ticket cost at your theater(s)? $12.50 is the very highest end (that’s what I paid last night at the fancy theater in Chicago’s Gold Coast), $7 or $8 is more average (that’s what I pay at the kind of scuzzy suburban mall theaters, or in smaller cities). According to my possibly out of date ticket price info, in Canada a nice multiplex in the expensive part of a major city might be more like $15-$20, and the smaller market older theaters would be more $12.00. This is fun, it hadn’t occurred to me before that I could gather ticket price data from my readers! That seems pretty accurate. The theater where we see the Hindi films, and pay $12.50, is definitely an older one (probably built in the 80s, early 90s at the latest). The auditoriums are very large, but the seats are old, torn, creaky and rather uncomfortable. That’s outside of Toronto- I’m sure downtown would be much more expensive. The multiplex in Niagara is only about a decade old and much nicer. My wife always pre-pays online and we print the tickets, but I think that theater is $15 per ticket. It’s probably $18 or more for 3D or those other fancy screenings with the big chairs and rumble packs or whatever (I’m not one for all that gimmicky garbage). So that’s right in line with your info. New York city ticket prices are now $15.99. I should come to Chicago to watch movies! I’m not sure, but I know Chicago is obscurely proud of our terrible winters and terrible summers, and greatly resents it when other cities try to compete. We could have a whole tangential conversation about the virtues of both cities. But I won’t digress. Except to say that I lived in Chicago for four years when in college (a very long time ago–Giordano’s pizza was in one location in Marquette Park, just to give you an idea!) and loved the city. With the exception of the original Giordano’s stuffed pizza (I have the recipe) I prefer NY thin crust pizza. But to each his or her own. And I also must disagree with you on bodies of water. In my opinion, the white sand beach and ocean waves on Fire Island can’t be beat. Having said all that, ticket prices in Manhattan are crazy. Sigh. Well, at least in Manhattan. You can get cheaper tickets in some of the outer boroughs or suburbs, but once you’ve spent on the subway fare it comes out about the same as in Manhattan. We pay $22 here in Australia for a movie ticket. Huh. Any idea if the prices are different in New Zealand? That might explain why the two places are usually noticeably off in their box office. Hello Margaret, Need to get in touch with you. May I have your email id? Hello, my name is Saiful and im from Malaysia.im non-indian , im malay and loved bollywood film.From what i see, 70 % of hindi movie audience in Malaysia theater were non indian especialy among the Malay.For Raees in Malaysia,local distributor managed to get 62 screen in the first week and for Kaabil,25 screen. So,the bo number that u mentioned was wrong. Both the movies got much bigger number at the local Malaysia box office. Thank you! This is the best source I can find for global figures, but it’s still reliant on what theaters report, which isn’t always the whole story. I find rentrak always under report box office number for hindi movie in Malaysia.How accurate is rentrak tracking for other country? Rentrack is out of America, that’s where they started, so I think that’s where they have the most coverage. I know when I was working at a movie theater, a tiny little independent theater in a bad neighborhood, we would get a call at 1am every night from some lady in LA who needed our daily figures. And to make sure we were being honest, the movie companies would send counters every once in a while to sit in the theater and count heads and make sure it matched with what we reported for our ticket sales. But the whole system relies on theaters being honest about what they are doing. And being willing to participate. I think, in America, it’s the studios and the industry that really wants the figures. So there was a lot of pressure on our little theater to provide accurate information, or we would be blacklisted and wouldn’t get the next big release. But I assume in other countries, where the system is less established, or if the studios/distributors put less pressure on the theaters to be honest, that it may not be correct. I still stick with Rentrack, however, because they are super good for the American numbers. And they are an independent 3rd party, so it’s not like they have an prejudices. At the very least, the per screen figures are accurate. They may not be able to have every theater/screen participating yet in every country, but those that are participating are presumably giving accurate tickets-per-screen counts.